Lester Winters, in early stages of Alzheimer’s, submits to an experimental procedure (a pacemaker for his brain) to restore his memory. He first recalls a dead woman who, it is assumed by his wife, is his mother from years past. As weeks go by and Lester’s ‘pacemaker’ does its job, he recalls that it is Caroline who is dead, not his mother. His wife decides that it’d be prudent to hire an attorney to help find the answers. 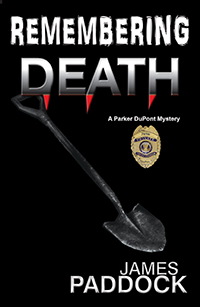 The attorney hires Parker DuPont, who soon discovers that there is a lot more to Lester’s memory than just a dead woman by the name of Caroline. He remembers where she is buried. He also remembers the face of the killer and is scared into silence that the killer remembers him.